Gavin DeGraw released his 4th album, Make A Move, in October 2013. He co-wrote even more than before, the hooks were bigger, and it sounded even more pop and radio friendly. Gavin started working on the follow up fairly quickly. By mid 2014 he was writing new songs, and that summer he suddenly dropped two new singles. It turns out he was releasing a greatest hits album that fall. After Finest Hour: The Best Of Gavin DeGraw was released, Gavin continued to tour, write, and record new music. Gavin was quiet throughout 2015 – other than his many live shows – and by May 2016 he was ready to announce another tour… and his upcoming 5th studio album. Finally, on July 15th, Gavin announced the big news: His new album, Something Worth Saving, is coming out on September 9th! That same day, he also released the album’s lead single, “She Sets The City On Fire.” We are still waiting for the album’s cover art and tracklisting to be revealed, as well as the music video for “She Sets The City On Fire,” but this summer is already a lot warmer now that we have new Gavin DeGraw music on the horizon! I write new stuff every day. I’m always working on new ideas and calling people and asking them if they want to work with me on something. I’ve already written some new songs and some of it is ready to go, some of it is still in the working stages. But I think there are a couple champions in there. We’ll just have to wait and see. He also talked about the moods and themes of the new music. Some has a nightlife party vibe, while others are more introspective – characteristic of his earlier work. As many moods as you can have throughout the day, I write about all of those. I would compare some of the songs to Make A Move, but every time you do something new there’s going to be an element of what was and what’s going to be. I never want to do the same thing over and over. There’s an element of continuity so far, but there are certainly some new flavors. On August 12th, Gavin DeGraw had another surprise for his fans: A new single called “Fire.” And that wasn’t all: The single came from an upcoming album from Gavin called Finest Hour: The Best Of Gavin DeGraw. After more than a decade in the industry, he was releasing a greatest hits collection! Finest Hour: The Best Of Gavin DeGraw was scheduled for release on October 7th. It would include “Fire,” as well as Gavin’s other new song, “You Got Me,” from the new Dolphin Tale 2 film. On August 14th, we learned more about the track listing for the greatest hits: The album was meant to include 3 new songs, plus a new version of the song “Finest Hour,” originally from Gavin’s last album, Make A Move. Besides “Fire” and his other new song “You Got Me,” Gavin’s greatest hits compilation was supposed to come with a third new track called “Not Our Fault.” This song was written with an unexpected collaborator – Harry Styles from One Direction. In the end, the track list changed and no longer included the new song called “Not Our Fault.” There is no word on if that will be released in the future – perhaps it will appear on the 5th studio album? Throughout 2015, Gavin continued to tour and quietly work on new music. On May 16, 2016, Gavin announced another new tour: He and Andy Grammar will move across the US from late August through early November. But the press release contained even more exciting news, confirming that Gavin is finishing up his 5th studio album and aiming to release it this fall! Los Angeles, CA (May 16th, 2016) – Multi-platinum selling, Grammy-nominated singer/songwriter Gavin DeGraw and acclaimed, Billboard chart topping recording artist Andy Grammer have announced co-headlining 2016 North American tour dates. Kicking off at the Bethel Woods Center for the Arts on Sunday, August 28th in Bethel, NY, the opening show will mark a homecoming performance for DeGraw, who hails from South Fallsburg, NY, and a return for Andy to his home state of New York. The multi-city trek will also include shows in major theater venues across the US including the Greek Theatre in Los Angeles, Hammerstein Ballroom in New York City, The Fillmore in Philadelphia, and the Orpheum Theatre in Boston. Fans can expect to hear DeGraw perform songs throughout his acclaimed 10-plus year career including classics “I Don’t Wanna Be,” “Chariot,” and “Not Over You.” Later this year, Gavin will release his highly anticipated fifth studio album via RCA Records. Tickets will go on-sale Friday, May 20th and Saturday May 21st starting at 10AM local time (check local listings for on-sale dates and times). An AMEX, VIP package and artist pre-sale will begin Tuesday, May 17th at 10AM local time and a Ticketmaster Mobile App pre-sale will begin Wednesday, May 18th at 10AM local time. Local, radio and Ticketmaster pre-sales will start Thursday, May 19th at 10am local time. Be sure to see dates and get tickets now. On Friday, July 8th, Gavin teased fans about some exciting news that was coming the next Monday. Fans survived the weekend, but Monday just brought more teasing. It looked like it would be a long week. After sharing a short clip of a new song called “She Sets The City On Fire” on Thursday, we finally got the new single on July 15th. The smooth mid-tempo track is a love song for a “perfect 10” girl. Gavin croons in his signature style, the small cracks in his voice lending charm and sincerity. It continues the musical style Gavin introduced with Sweeter in 2011 and Make A Move in 2013. Gavin wrote it with Gregg Wattenberg, Todd Clark, and Jason Saenz. That same day, on July 15th, Gavin also officially announced that his upcoming album, Something Worth Saving, is set for release on September 9th! We don’t have much longer to go before we get the rest of the new tunes. We’re still waiting to learn the full tracklisting and see the album cover. 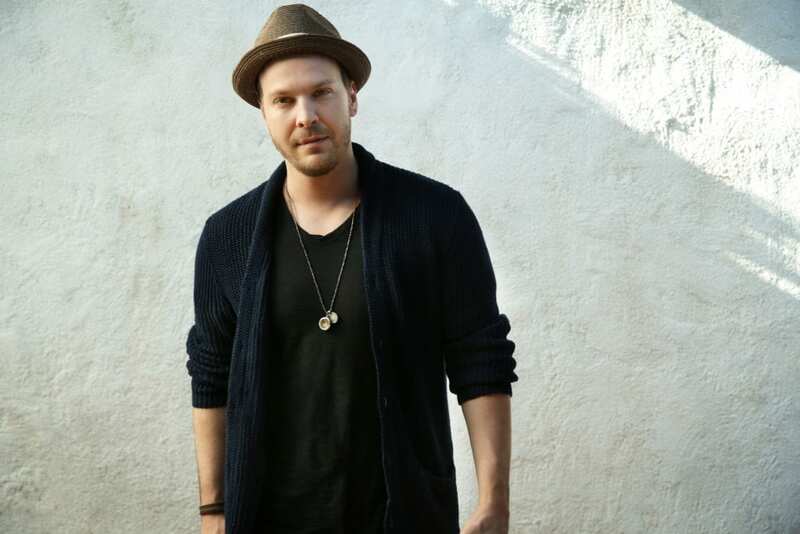 It’s great to know that Gavin DeGraw will release Something Worth Saving in just a few weeks on September 9th. Stay tuned for more news – there should be plenty coming in over the next few weeks! We will update as the tracklist, album artwork, and more are revealed.